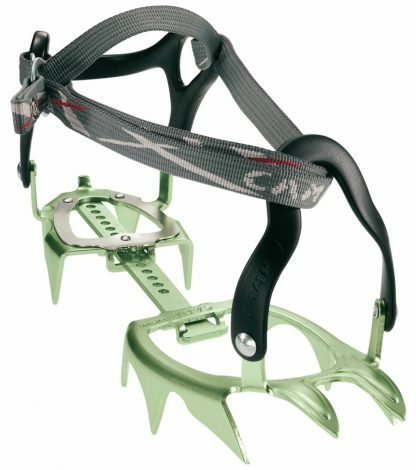 The lightest 12-point strap-on crampons in the world! 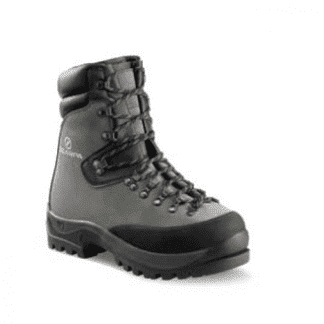 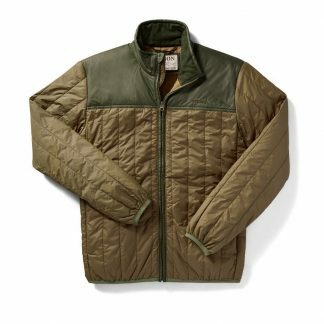 Perfect for glacier travel and general mountaineering. 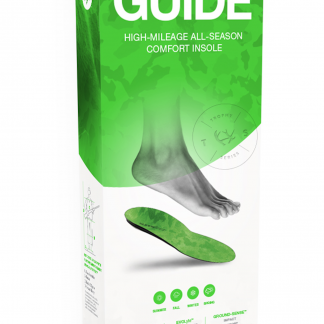 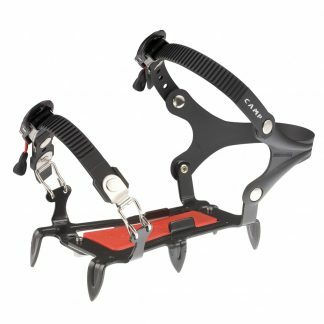 Thermoplastic heel and toe harnesses wrap around nearly any hiking and classic mountaineering boots and are secured by strong nylon straps and metal buckles. For telemark or A/T boots, use the XLC 390 with automatic bindings (348). 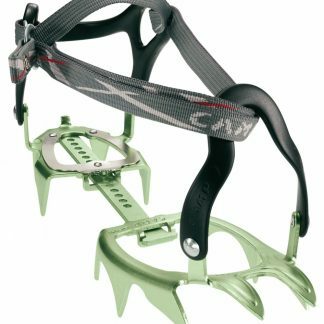 While sturdy, aluminum crampons are not suitable for ice climbing or intensive mixed terrain.